Fascinating day trip from Playa Samara and Carrillo Beach(see also our year-round turtle trips to Camaronal). The best time to do a turtle tour and visit Ostional is just before and during an ARRIBADA (an arribada is a mass nesting of turtles). 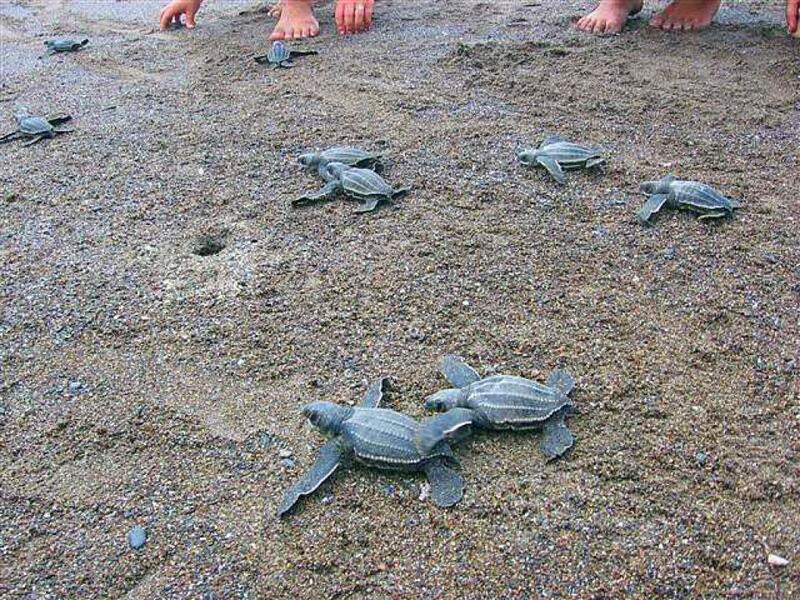 During this period a few hundred turtles come out of the sea and makes it way to the beach. Eventually a steady stream of turtles will follow for approx the next three days. The arribadas usually occur at the start of the last quarter moon (but this is a general rule of thumb). Arribadas\" occur all through the year, at least once a month. During the rainy season (between July and December) you can see the larger arribadas which can be in the range of hundreds of thousands. 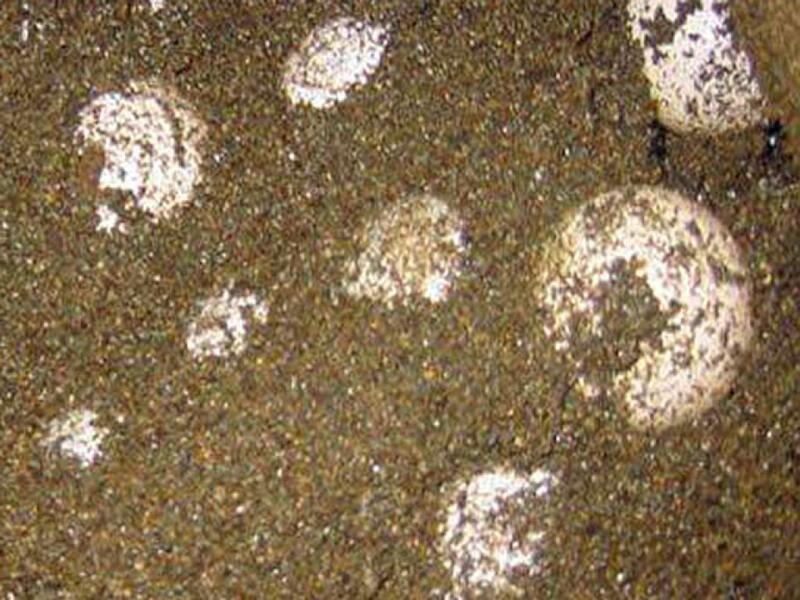 In the dry season months the arribadas are much smaller with tens of hundreds of turtles. 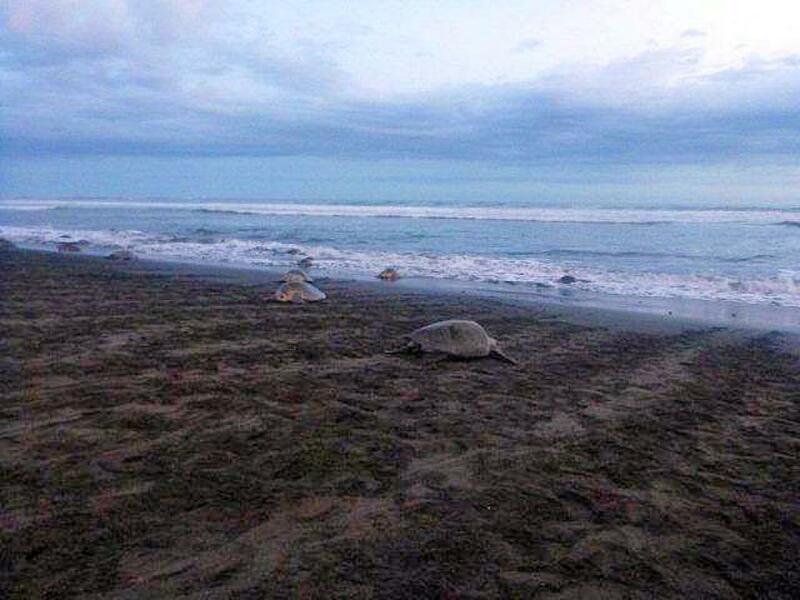 Pick up time will depend best time to see turtles (day or night).